It’s been nearly 2 months since my last blog post and my friend Kathy encouraged me write another ASAP. So here goes. The countdown is on for the start of football season for me. 6 days from today I’ll be calling Grand View’s season opener at home against Graceland University (Lamoni, Iowa). The most famous alum of Graceland is the 1976 Olympic Decathon Gold Medalist, Bruce Jenner. After getting to the playoffs for the 1st time in it’s brief program history (entering the 5th season), Grand View looks to take the next step and win a post-season game under head coach Mike Woodley. For all of my out of state friends, Grand View competes in the NAIA out of Des Moines, Iowa. I have tickets in possession for Iowa State’s season opener vs Tulsa on September 1st. I’m able to attend that game since Grand View will be playing at Drake in their season opener Thursday of that week on August 30th. And on October 21st, I’ll be attending the Green Bay at St Louis game with my father Don and my brother Seth. Both are Packers fans and have never seen the Pack in person before. I’m the dedicated Rams fan. Should be a good time. It’s been an interesting summer for me. Began it unemployed. Fortunately I have been able to pick up 2 part time jobs. One with the catholic radio station in Des Moines (1150 KWKY) and the other with Sports Spotlight USA via 1350 KRNT and WHO-TV 13.2. I’ve been pulling the split shift working at KWKY during the mornings and Sports Spotlight USA in the late afternoons/early evenings. I’ll be running tag team with Tony Atzeni on Friday nights during the high school season co-hosting FRIDAY NIGHT LIVE. After 5 years in the field with Larry Cotlar at the games, I’m looking forward to some studio time. It’ll be a fun change. Thanks to everyone who’ve given their love and support to me this year. Can’t believe we are almost into September! 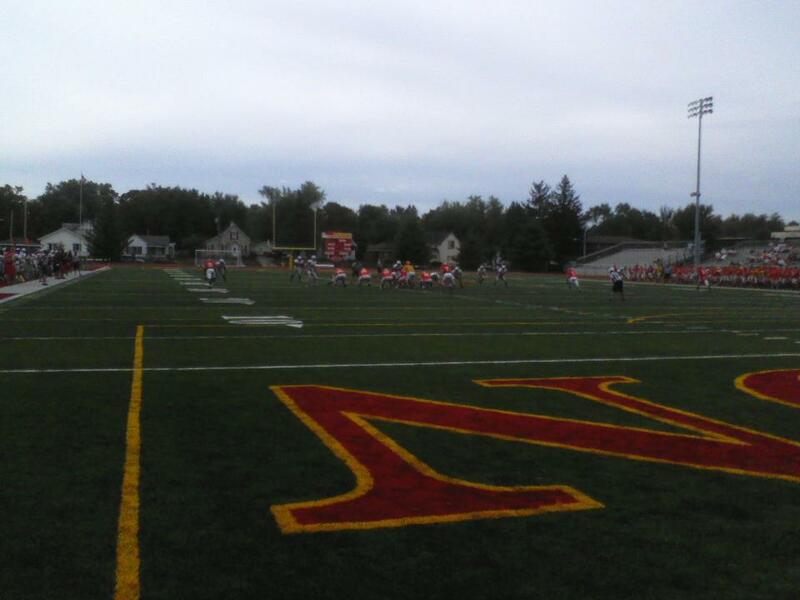 Grand View scrimmage at Simpson (NCAA Division III) this past Saturday.